Every project is different but the philosophy is the same: to design well considered, well-mannered spaces which respond to the site, can be achieved within budget and ultimately enhance and shift the occupier’s living experience. It might be a sensitive infill scheme in a Conservation Area or a bold statement on the seafront, a grand master plan or a simple reorganisation. We have the experience and knowledge to take your ideas and turn them into more than just " bricks and mortar". Our approach is practical, with an eye to detail and a collaborative approach with your builder which makes for a successful project. A bit of history....... Working together in Central London, Adrian Carrick, Edward Howell and Stephen Lawrence grasped the opportunity to set up their own practice and spent the 80’s working on residential and educational projects, exhibition designs, shop interiors and quite a few water slides around the world. Stephen is now set up semi permanently in Amsterdam, Edward relocated to Devon and Adrian established the Surrey practice. A bit about me... Adrian CARRICK Bsc Barch RIBA Chartered Architect, Designer and Illustrator Born in Yorkshire, educated in Bath, worked in Vancouver and Shetland, based in Surrey. Family man, cyclist and Bedlington Terrier owner / lookalike. Engineering based training in Lightweight Structure Laboratory; hands on experience in the Northern Isles; timber frame construction in Canada and tutoring at University of East London. I have 30 plus years of experience latterly working on predominantly residential and domestic projects in London and the South of England encompassing new build, extension and refurbishment, contemporary and vernacular, listed and conservation work, big and small. We specialise in new build projects and large extensions predominantly in South West London, Surrey and Hampshire. Arc8 Projects was founded by British trained Architect Richard Hall in 2005 in Sydney, Australia and was established in London in 2007. We now have an experienced and highly skilled team of interior designers, technicians and modellers to enable us to provide the very best service to our clients. We are not 'glass box architects'. We are creative and communicative professionals who realise that everyone has a budget. The skill lies in designing a space that is unique for the client, within realistic costs, without forsaking aesthetic and effect. We aim to involve you as much as possible so that we are not telling you what you want or what we think is best. We listen to you and work alongside you, so that you can achieve your goals. We also try to incorporate renewable technologies where possible; along with the latest innovations in building which will future proof your home, reduce running costs and maintain an awareness in the ecological footprint. 3s Architects and Designers achieve architectural excellence through creativity and imaginative design combined with commercial sense and close teamwork between the client and design team. Our designers aim to make inspiring environments, which add long-term value to the projects, whilst providing a personalised service from initial ideas to final completion. Our portfolio includes a wide array of projects from residential developments, one-off houses and house refurbishments to hotels, head offices, restaurants and flagship stores. Our expertise has been established from working on projects throughout Europe and we draw on this experience to introduce the best methods, detailing and products to our projects. As well as our expertise on refurbishments and extensions to period and late 20th century homes, we are also accomplished in working in rural and urban situations, in conservation areas and on listed buildings. 3s architects have been the catalyst for many sites throughout London and the home counties as well as in Europe and overseas. The range of our work with local developers encompasses quick and responsive feasibility studies, detailed planning applications and often full architectural services. Our considerate but imaginative design lends itself to realising projects in tight sites or sensitive locations. Our ideas are always practical and sympathetic to existing buildings, yet we add modern amenities, the feeling of space and the clean lines of modern design to the buildings. Michael Silverwood is an award winning Chartered Architect with a wealth of experience in both the residential and commercial sectors. 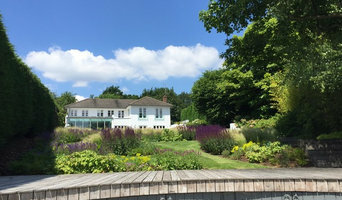 After 30 years experience on a variety of commercial projects in London, I started my own practice working entirely on residential projects in Surrey and Sussex in 1998. I have designed and completed new houses and house extensions, as well as a new oak framed house in Surrey. One recent project was a major grass roofed extension and further alterations to a listed Shropshire farmhouse, which required consent from English Heritage. My current projects include large new houses in Esher, Kingston Upon Thames, Sussex and Southampton plus an oak framed Manor House in the Guildford Green Belt, and several house extensions in South London and Surrey. Whether your requirements are conventional or contemporary, I would be pleased to be of service. We'd Love to Discuss Your Ideas! Carefully Crafted Individual Homes with Attention to Every Detail. Based in Hackney, London, we undertake residential, commercial and public projects providing full architectural, interior design and planning advisory services. We specialise in projects in historic and Listed buildings and enjoy the challenge of introducing contemporary interventions into complex contexts. Before founding EEA, Ross spent a number of years working on residential projects with Stirling Prize and RIBA Gold Medal winner David Chipperfield Architects. Previously Ross worked with several notable architects including Malcolm Fraser in Edinburgh, Odile Decq in Paris and David Mikhail in London. Ross is a RIBA registered conservation architect and 2012 SPAB Lethaby Scholar. Emma combines practice with teaching and is currently a design studio tutor at the University of Westminster. She has previously worked with DGT Architects in Paris on the new National Museum of Estonia. She has also worked with practices such as Levitate and Sanei Hopkins Architects in London where she gained experience of residential, commercial and historic projects. Martins Camisuli was established in 2002 by Ana Martins and Sebastian Camisuli, drawing on their combined 20 years’ experience and individual abilities. Ana Martins has worked predominantly on refurbishment programmes in the UK and abroad, working in the office, retail, leisure and residential sectors. Sebastian Camisuli has worked for both architectural and engineering practices, on predominantly medium to large-scale office and mixed-use developments. He has a post graduate diploma in property development and is very interested in sustainability. Both partners believe that good design is generated by a thorough analysis of how the spaces they create will be used; whether this is for living, working, shopping, eating or relaxing. Martins Camilsuli believe that every project should be unique to the individuals that inhabit the space. They seek to fully understand the needs of their clients so that they can develop an appropriate creative response that meets all project objectives and fully answer the brief. Martins Camisuli ensure that an open and constant dialogue is established with their clients before any design work starts. Regular progress meetings ensure that their clients are always up to date with progress. Where appropriate they strive to find the balance between the financial constraints of a project and the potential to explore creative design solutions towards the goal of a more sustainable environment. Martins Camisuli is committed to providing architectural solutions that respond foremost to the clients’ needs and offer solutions set within the wider historical, social and environmental contexts of their environment. We are team of ambitious young architectural designers. We have all grown up with backgrounds of property development, building and living on site at times! With the teams combined knowledge and experience of ten years across hundreds of projects, we are continuously striving to improve our process and create efficiency, enabling us to be the most competitive on the market. Offering a complete and fully managed solution, Model Projects empowers home owners to create their dream home. By utilizing the latest in 3D technology, clear communication and visualisation of proposed spaces is the driving factor for our cutting edge design practice. Please contact should you have any scale of style of project as we can tailor our services to suit you and your new home. Our projects range from bespoke house extensions through to new build homes and multi-unit housing schemes. 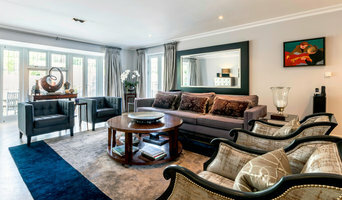 We design unique spaces which are entirely bespoke to our clients needs. We achieve this through a rigorous design process and the manipulation of light, space and material. We make building projects easy for our clients through a devoted and detailed approach and offer project management to take a scheme from concept through to completion. Check www.emrarchitecture.com for more pictures of projects. EMR Architecture is a small RIBA Chartered Practice, based in Fulham,specialised on all residential renovation projects. Our dedicated team will help you to go through each step of the renovation process including : Planning Applications, Construction drawings and Spatial Design, creating tender packs to select the a builder/contractor with the right skills and experience for your project until you move into your new home. 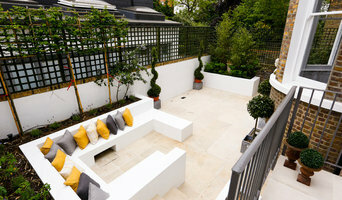 Based in Fulham, EMR has a track record of successful projects in London and specialises in lofts,extensions, basements and full refurbs with clever design. We work really closely to our clients in order to fully understand their current and future needs and guide them into the best living layout for their lifestyle. We conduct weekly detailed on-site Project Management, so that your new beautiful house is delivered on time and on budget. How do I choose the right Cobham, Surrey architect? Begin by determining the type of architectural service you require. Is it merely advice that you need? Or a detailed set of architectural design plans? Are you hoping to add a single-storey extension or are you really looking for someone to design you a custom home and handle construction management right through to completion? One of the most important duties of full service architects in Cobham, Surrey is to serve as project managers and supervise most aspects of construction as well as facilitate communication between all other contractors. Architecture is an incredibly technical profession and one where getting things wrong can literally put lives at risk, so do background checks on your Cobham architect. Check they are registered with architecture associations such as the Architect’s Registration Board (ARB) and The Royal Institute of British Architects (RIBA). Being part of an architecture association means that an architect or architecture firm has met certain standards, qualifications and practices, and can be held accountable if they don’t meet these standards. It’s advisable to choose architects that specialise in the kind of project that you are undertaking as their existing experience will shine through in the completed design. Look for an architect in Cobham, Surrey that can provide references and reviews of their previous work. Once you have determined the service level you need, your next consideration will be architectural style. Some architects specialise in designing for traditional housing such as period cottages and country homes, or even in designing modern replicas in a period style. Others have a knack for imagining bolder, more futuristic architectural design in Cobham, Surrey incorporating the latest green technology. Check their Houzz profile and website for examples of previous work. Early on, try to gauge availability – there’s no point in choosing an architect that’s going to be booked for months if you have a tight deadline. Some architects are happy to do all their work online or over the phone with you, but if you’d prefer to work with an architect in person then check that your chosen architects in Cobham, Surrey will travel to you. At the first meeting, preferably at your property or building site, give as clear a picture as possible of the kind of home you are trying to create to your architects. Chat through your goals, projected budget, scope of work, schedule and feedback, together with any very specific requirements you might have. It is crucial that your architects are clear about their responsibilities and that these are documented in the contract. Ask them to walk you through the process, including the number of architectural design consultations, site visits and what they will be delivering and when, e.g. feasibility study, a technical drawing, tender package and/or planning application drawings. They could illustrate this using a previous client’s project. Also, what does the architect need from you? Deeds, rights of way, deposit, staged payments etc. Once you have covered all this detail, you are ready to make your choice and get started. The architecture company in Cobham, Surrey that you hire will likely start with concept drawings and finish with construction drawings and documents. Some firms even design with 3D renderings, CAD and videos, but this is by no means essential. You are looking for architects in Cobham, Surrey that have the right balance of creative flair, technical nous, practicality and impeccable service to see you through. Get a sense of whether they are a good listener, collaborator and problem solver. Checking their references will also be invaluable at this stage so look at their Houzz profile for past customer reviews. Ask to speak to previous clients, particularly regarding their responsiveness and ability to work creatively around a budget. There is no set payment structure for an architect. Some Cobham, Surrey architects will charge an hourly rate, others base their fees on a percentage of the total construction cost or propose a fixed fee (payable in instalments) for projects such as house extensions or a complete home design. You may wish to pay in stages to safeguard against any possible dissatisfaction with the quality of service. Make sure the total figure and payment schedule is agreed as part of your contract, particularly if you are trying to accurately estimate the cost of building a house. What are the important questions to ask architects in Cobham, Surrey? How long have you been an architect in Cobham, Surrey? Are you part of ARB and RIBA? Are you part of any other associations of architectural design in Cobham, Surrey? Find architects in Cobham, Surrey on Houzz in the Find a Pro section today. Start by browsing the architects and Cobham, Surrey architectural design firms near you and assess their reviews, latest projects and contact details.